Elastigirl springs into action to save the day, while Mr. Incredible faces his greatest challenge yet - taking care of the problems of his three children. Yes - the new Incredibles 2 movies is out in June 2018 and the elastic family of Superheroes are back to save another day. 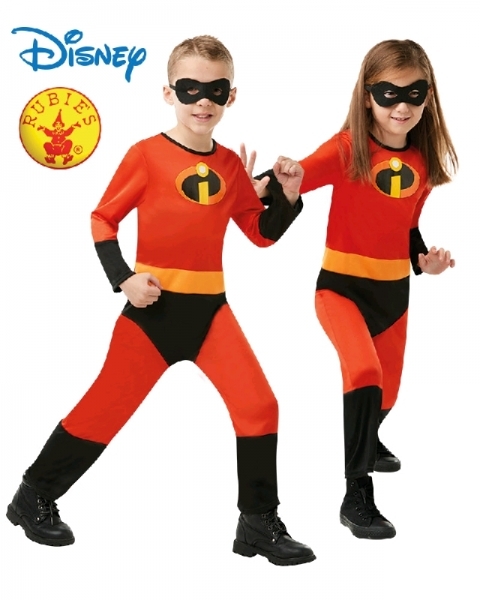 Try this unisex Incredibles costume on for size and see what you can do!